Sharing expertise and maintaining a painstaking approach to quality, B. Braun provides new, safer, forward-thinking healthcare solutions. Breaking new ground is everyday work for B. Braun, a leading manufacturer and provider of solutions for the global healthcare market. With a diverse portfolio boasting 5,000 products — largely manufactured in house and supported by supplementary services and consulting — B. Braun makes a significant contribution to achieving better health for people all over the world. The German family-owned business has built its reputation and global footprint slowly, carefully and consistently since it began in 1839. B. Braun’s first leader who is not a direct member of the Braun family, current Chairman and CEO, Professor Heinz-Walter “Walter” Große, says the company’s strong history and solid foundation allows it to continue its growth while focusing on innovation and sharing its expertise. “It took us 150 years to grow the business towards the first billion euros. This was achieved back in 1989. It took another 9 years for the second and another 8 years for the third billion. Today, we are growing approximately €1 billion in 2 fiscal years,” Walter says. “We’ve accomplished this growth through the reputation of our products. B. Braun has always remained in the healthcare markets, we did not diversify in business areas that are not connected to healthcare.” This pattern of sure, steady growth was also followed in B. Braun’s strategy for international expansion, breaking into the US and Asian markets from its European base decades ago. 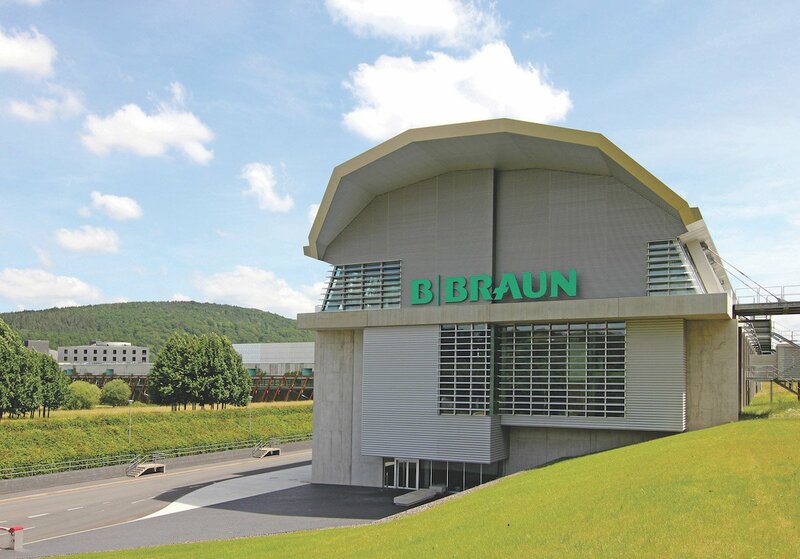 Braun produces 95% of its products in its own factories, providing expert control over quality and value. When it comes to purchasing raw materials and components, as well as some finished products from suppliers, relationships built on trust are key. The success of B. Braun’s products is based on a constant drive for improvement and innovation. “By always looking for new and better ways to do things, we improve our products and therapies. Through this, we can also improve the process in hospitals, and we can contribute to getting people healthy again and helping doctors perform more precise or more effective surgery. That is our responsibility, and the hospitals and their patients can know that they always have the best, state of the art products available. And if we have the possibility of making those products even safer, or products smarter, or any others means of improving the healing process of patients, then we have an obligation to work in that direction,” says Walter.